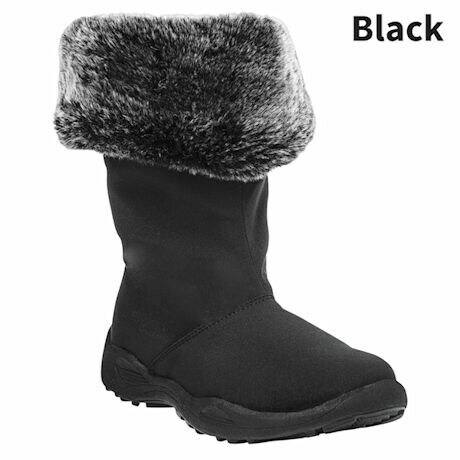 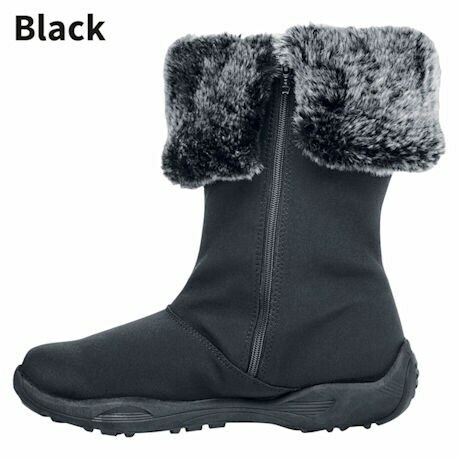 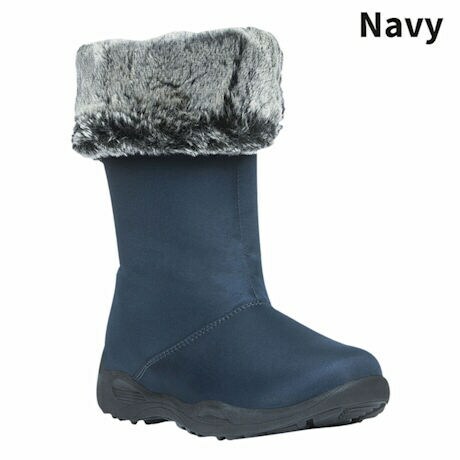 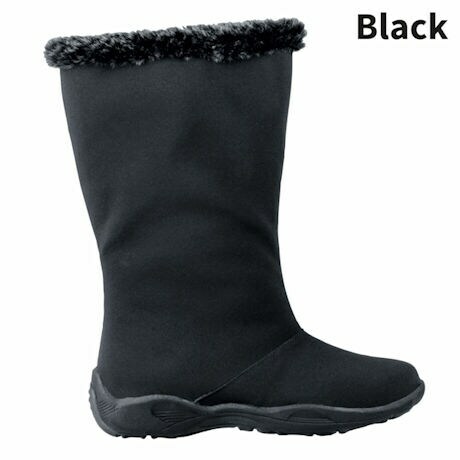 This stylish winter boot features an 11" shaft height. 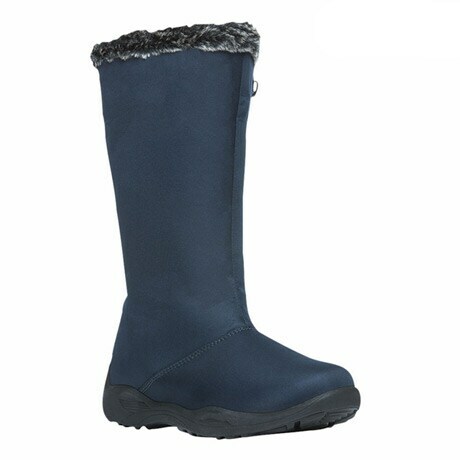 The Propet® Madison Tall Zip Waterproof Boot has a nylon upper with Sealtex® waterproof laminate construction to help fend off winter weather wetness. 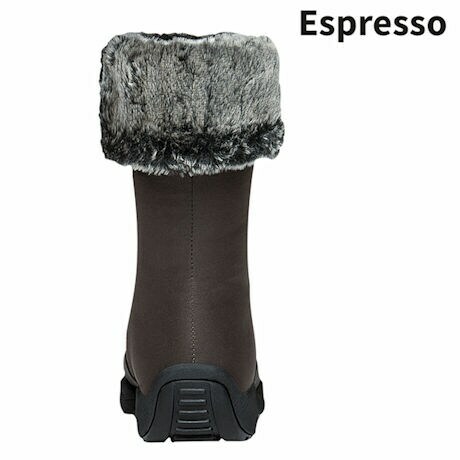 A Scotchgard® treatment resists stains to keep your boots looking fresh all season long. 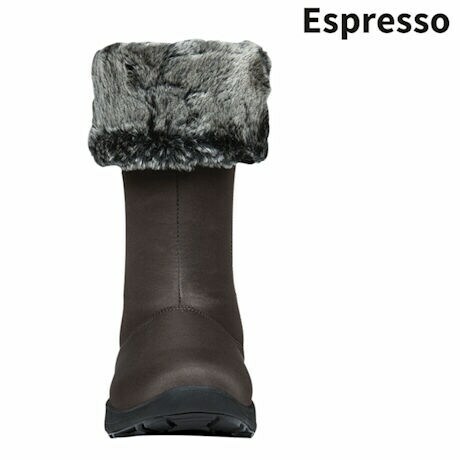 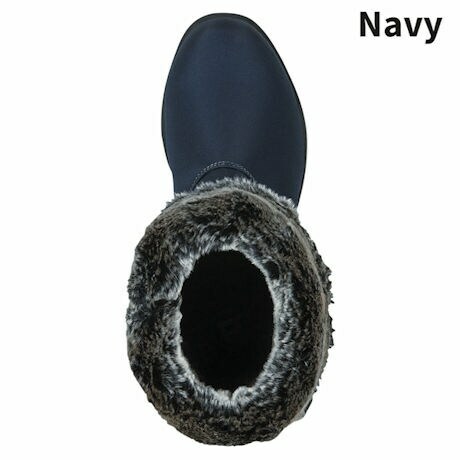 Inside, the faux shearling lining wraps your feet in softness and warmth, while the Vaporex® insole system retains heat for additional insulation and comfortable cushion. 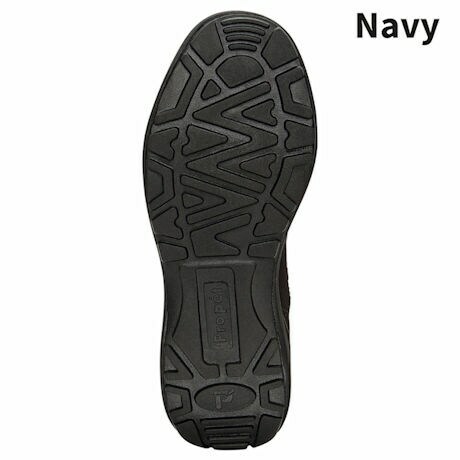 The Madison's double insole system also offers customized fit and comfort, and accommodates orthotics. 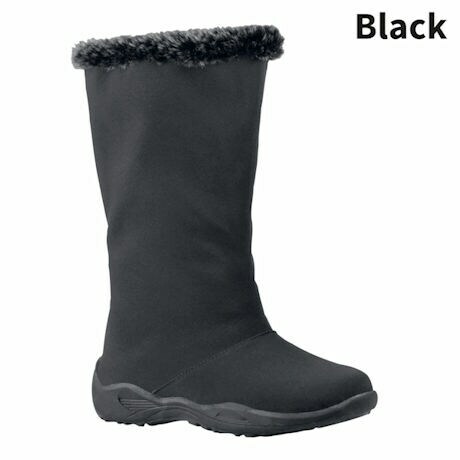 EVA midsole with rubber outsole for traction.